Dairy farmer Neale Sadler has ventured into a new market within the UK’s sector and the gamble is paying off. Danusia Osiowy visits Shropshire to find out more. The Holstein herd at Bridge Farm are not just your ordinary dairy cows. Responding to the growing needs of a new consumer market within the dairy industry, Neale Sadler is specifically breeding them to produce milk which contains a particular type of protein called A2. It is this protein, according to medical research, which has been scientifically proven to help those who physically suffer from drinking cow’s milk to experience relief when switching to A2 milk. And with one-in-four people diagnosed as dairy intolerant, it is an increasingly lucrative market for the sector. “All cows make beta-casein protein,” says Neale Sadler, who switched to supplying only A2 milk in November 2012. Despite deciding to come out of milk production in 2003 because of the low milk price, Neale re-entered the sector three years later after missing a dairy system on his 81-hectare (200-acre) farm in Shrewsbury, Shropshire. With Muller’s processing plant just 10 miles away, Neale was fortunate to be given a renewed standard milk contract and became one of the first farmers in the UK to introduce a robotic milker into the herd. Around the same time, Neale, who farms in partnership with his parents Richard and Janet, became aware of A2 milk production through Muller’s new relationship with The a2 Milk Company, based in Australia. He says: “It was a new venture for Muller and I wanted to do something a bit different. A2 milk production appealed to me for that reason. This, together with the financial incentive of being paid a secured price of 30ppl for the branded milk, was enough to convince Neale to take the leap. The next stages unfolded very quickly and sample tissue was taken from the ear of each cow and DNA tested. Results confirmed that 37 of the 80 herd were A2 cows. Neale explains: “Every cow has a profile and fits into one of three groups: A1A1; A2A2; or A1A2. “Originally, all cows produced milk containing only the A2 protein. However, over time and though natural genetic mutation, another milk protein, A1, emerged, which is most of milk sold today. “Most people have evolved to be able to break down the A1 protein, but 20 per cent of the population still struggles and this is why there are a lot of people who are diagnosed with a dairy intolerance. After receiving the DNA results, Neale, with support from his wife Claire, decided to sell the remaining cows through a dispersal sale in November 2012 and was left with a real drop in numbers. He says: “It was a massive gamble, as suddenly I was left with 37 cows, which is a very small herd in this day and age. Nobody really knew much about A2 milk in this country and it was still an unproven market. 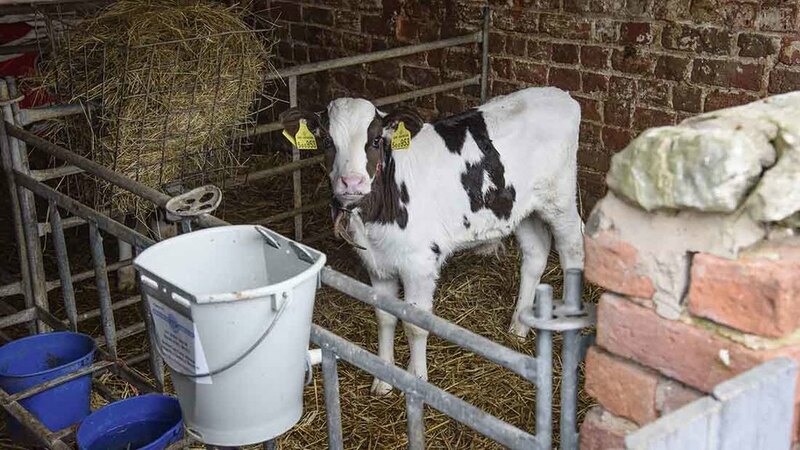 To increase numbers, 16 in-calf A2-tested heifers were purchased from Holland and, with 20 other producers in the area supplying A2 milk too, local breeders began offering their heifers for testing, which The a2 Milk Company paid for. 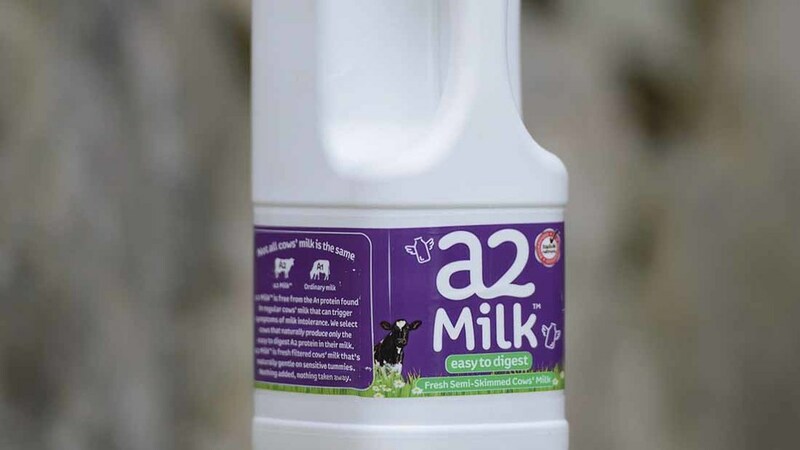 “Local breeders knew any cows which tested A2A2 would be in demand by The a2 Milk Company producers, which could possibly increase returns. So, to prevent the price going too wild, only the a2 producers would be told the results. “Sellers informed a2 when previously tested animals would be sold at market and a2 emailed its producers the ear numbers of A2A2 animals to cross-reference with sale catalogues. It has taken four years to build the herd up to 75-head and getting to this point has been Neale’s biggest challenge. He says: “Initially, there was a massive surge in costs, as I replaced the herd and invested £60,000 in new stock. “For a couple of years, we obviously had low milk sales because we were short of cows, but it was the milk price crashing we had not forecast for. “I had my own heifers coming through the system, but I had to sell most, as only one-third were A2, and instead of ploughing the money into new replacements, I had to use money to pay bills because of the price crash. 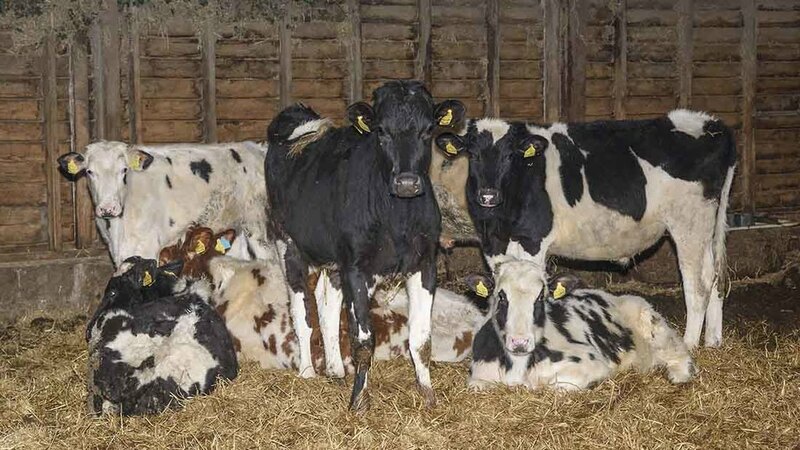 Cow management is no different to before, although the introduction of rubber mats throughout the shed has improved fertility rates, as cows express more heat and are no longer prone to injury. Calving all-year-round, cows are milked twice-a-day with yields of about 2,000 litres/cow at 4.1 per cent fat and 3.3 per cent protein. All forage is grown on-farm and, after grazing outside April to September, cows are fed first-cut grass silage, maize, lucerne, molasses, soda wheat and minerals. Initially, A2 milk production was a joint venture between Muller and The a2 Milk Company, but within the first 12 months, the latter company took over the contract and Muller became the contract processor. About 16 per cent of Neale’s milk production is sold to The a2 Milk Company, for which he receives 30ppl, with the rest supplied to Muller at its standard milk price. In February, as an example, he received 26.69ppl from Muller, plus 0.5ppl bonus, with a supplementary payment to guarantee the 30ppl on A2 sales. With sales gradually rising over the four-and-a-half years since he switched production, the gamble is paying off. Looking to the future, Neale is keen to double the size of the herd and introduce a second robot to help secure the longevity of the business. Neale is optimistic A2 milk will help increase demand among those who shun milk because they are dairy intolerant. And he speaks with some experience. “I have had eczema all my life and it was something I just used to get on my legs, but three weeks into production and of drinking A2 milk, it disappeared. I couldn’t believe it. “A lot of work has been done with the medical world and I have spoken to doctors and nurses and the response is becoming improved all the time. “It is a challenge to get the message across to people that there is another option when they have spent their lives thinking they cannot drink milk, but demand is rising. “About 20 per cent of people in the UK do not drink milk at all and 80 per cent of those in Africa and Asia avoid it.